preheat the oven to 450 degrees. grease a 6-cup popover pan, or six custard cups. put the oven rack in the center slot. beat the eggs gently with an electric mixer. add in the milk, flour and salt and beat until smooth, but do not take your rage out on the batter. it will be beaten into submission and be absolutely too afraid to pop. 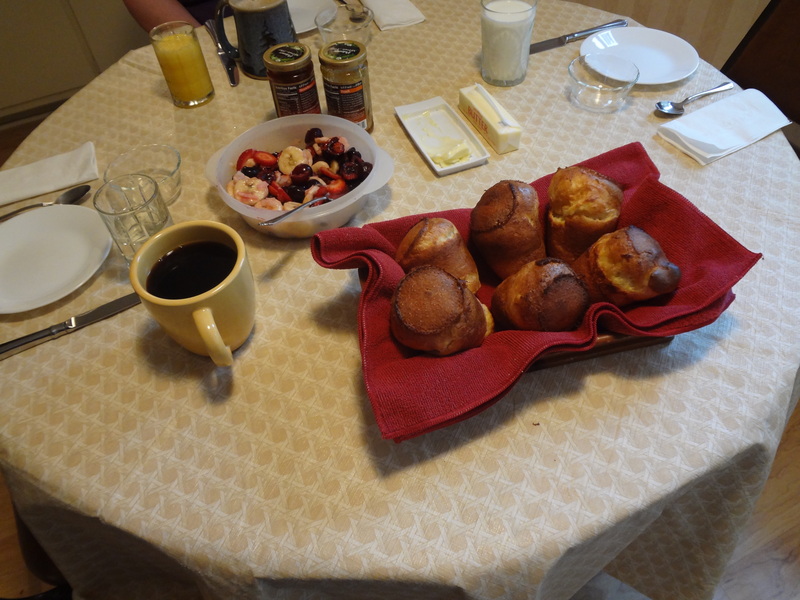 fill the popover cups half full. bake for 25 minutes, then lower the temperature to 350 degrees and bake for about 15 minutes more (give or take 5 minutes) until deep golden brown. consume immediately with much butter. and coffee.